For most people, the worst part of getting a tattoo is the pain of getting inked with the tattoo gun. Although, if you discover that you’re allergic to tattoo ink, that momentary pain isn’t the only thing you’ll have to deal with. Tattoo ink allergies are rare, affecting fewer that one percent of people who get tattooed. Nevertheless, you should take the time to know the signs and symptoms of an ink allergy, so you can take care of it as soon as the symptoms show up. It’s important to consider this even if the tattoo you’re getting isn’t your first. Not all tattoo ink is made of the same components, so even if your first tattoo turned out fine, you might still have an allergic reaction from the next one you get. If you’re considering a tattoo, or have one and suspect that you might be having an allergic reaction to the ink, keep reading. We’ll cover everything you need to know about tattoo ink allergies, how to spot a reaction, and what to do about it. What Is a Tattoo Ink Allergy? What Causes Tattoo Ink Allergy? What Are the Signs of a Tattoo Ink Allergy? 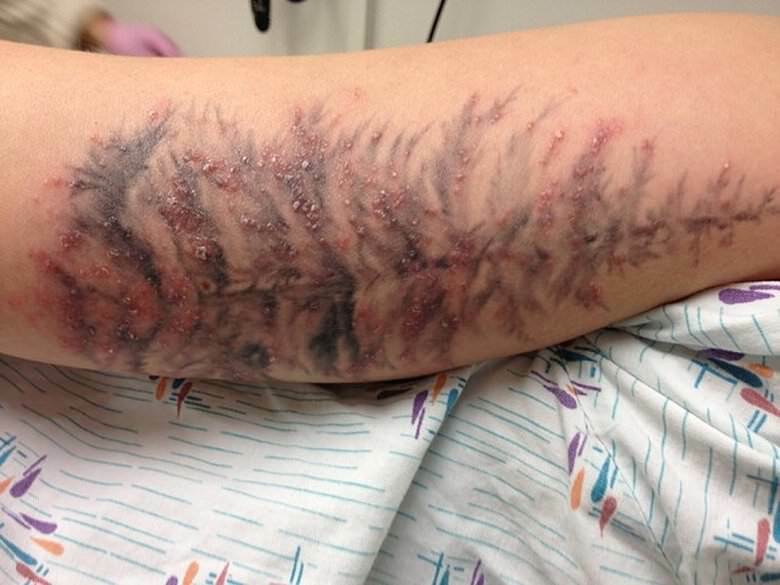 A tattoo ink allergy manifests itself as one or more skin abnormalities at the site of a tattoo, as a result to the body’s negative reaction to the tattoo ink. Most cases of allergic reactions are tattoos containing red or yellow ink. Other ink colors could still cause a reaction, but are much less likely to do so. If you have an allergic reaction to the ink in your tattoo, it will probably show up as a red, itchy rash. Your skin could also flake and take on a scaly appearance. In some rare cases, your allergy might cause small bumps to form across the tattoo. It’s important to know that not every skin condition that results from getting a tattoo, is an allergic reaction. It’s common for people getting a tattoo to experience inflammation (redness, swelling, and irritation). This is usually just the skin’s reaction to the tattoo gun and not necessarily a sign that you have an allergy to the ink. This kind of inflammation is also relatively benign and should resolve itself within a few weeks. 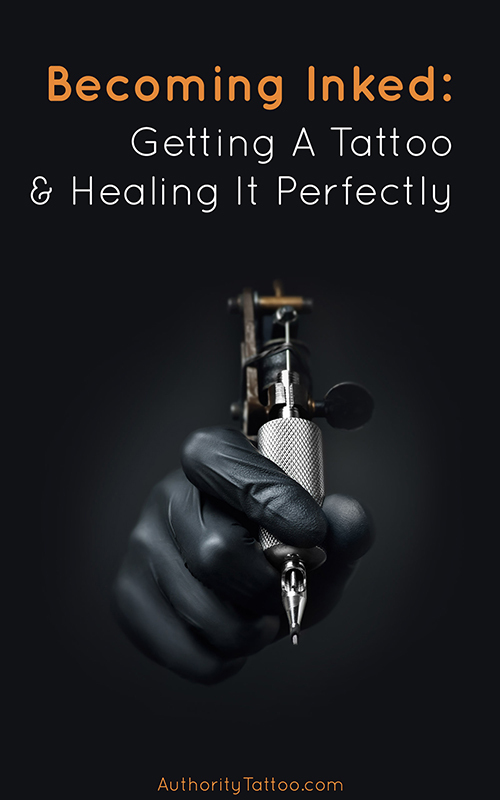 Professional tattoo artists use special, high-quality ink when doing their work. The ink they’re injecting in your skin needs to be permanent and it has to stay looking vibrant as long as it can. They can’t get those kinds of results with just any old ink. 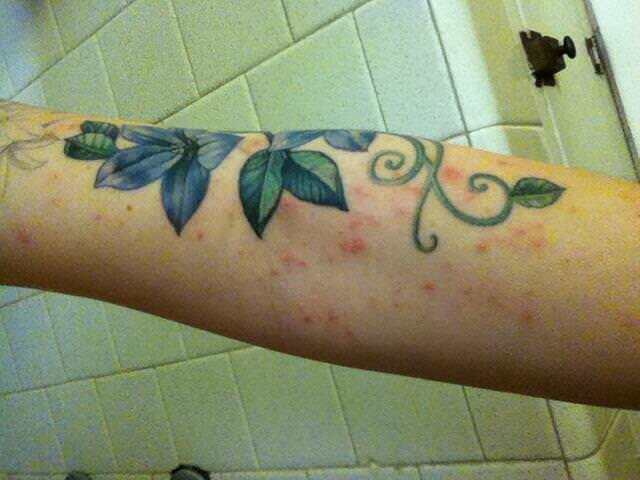 So, what is it about the tattoo ink that causes allergic reactions in some people? Whether they purchase pre-made ink or mix their own, the professional-grade ink your tattoo artist uses will likely contain some heavy metals. It’s those metals that are responsible for the dermatitis (those itchy, red rashes) in those with tattoo ink allergies. Yet here’s where it gets complicated. Not everyone who has an allergic reaction to the tattoo ink is having a reaction to the same metals. If some of the metals in one kind of ink gives you an allergic reaction, there might be other kinds of ink (with other kinds of metal) that will work perfectly well for you. Avoiding certain metals in your ink can be tricky, and different colors use different metals. Some red inks contain mercury, for instance, and yellow inks might contain lead, while black inks contain iron oxides. Depending on which metals give you an allergic reaction, you might be able to get a tattoo without any adverse effects simply by choosing a design that doesn’t include a color made with that metal. You may sound frightened by the amount of heavy metals found in tattoo ink, but tattoo ink poisoning is actually rare. Ironically, this is the one negative reaction that you might be able to avoid by getting a tattoo from an amateur, or someone using non-professional-grade equipment, because lower grade and less permanent inks don’t have the same heavy metals found in tattoo ink. That doesn’t mean we endorse getting a tattoo from anyone other than a professional. The risk of infection and other complications is far too high and it’s simply not worth it, even if it means you could avoid an allergic reaction. Your best bet is to consult a professional tattoo artist and work directly with them to find alternatives that are compatible with your body, and it's definitely not recommended to allow somebody to use homemade tattoo ink on your skin unless they're extremely certain about what they're doing. If you are allergic to tattoo ink, you don’t have to wait until your half-sleeve starts itching to find out. There are a few methods you can use to know whether you’ll have an allergic reaction to the ink before undergoing a full tattoo session. If you’re allergic to colorants of any kind, there’s a good chance you’re allergic to tattoo ink also. If you get allergic reactions from food dyes, printer ink, and other colorants, be aware that you’re more likely to have a bad reaction to tattoo ink. Before getting a tattoo, use one (or both) of the other methods in this section to make sure you’re in the clear. If you’re allergic to the tattoo ink, you won’t just get a reaction when it’s injected into your second layer of skin (the dermis) as part of the tattooing process; you’ll also get one when it comes into contact with your top layer of skin (the epidermis). The patch test is a simple procedure that you can do directly with your tattoo artist. It involves applying the tattoo ink that will be used to tattoo you on a patch of your skin. After 24 hours, if you don’t have any kind of swelling or redness on that patch, you’re probably in the clear to use the ink. If the patch test fails, however, you can try an alternative type of ink. Though, to be safe, perform another patch test with the new ink before getting tattooed. While the patch test might be effective, there’s no better way to know that you’re allergic to tattoo ink than to get a tattoo. You can ask your tattoo artist if they would be willing to tattoo a single, small dot on the area you plan on tattooing. Getting a micro-tattoo lets you find out how your skin will react to the ink, but because it’s so small it will be easier to treat if you do discover an allergy. Most people with an allergy to tattoo ink experience the symptoms soon after coming into contact with it. On the other hand, some people may develop a rash weeks or months after getting the tattoo. If you’re in the latter camp, the patch and micro-tattoo tests won’t be able to warn you about your allergy and you might only discover it after getting a tattoo – unless, of course, you’re willing to live with the tiny tattooed dot for a month or two before getting the full design. Your tattoo is pretty darn permanent. Therefore, when you start noticing the itching, redness, and swelling, it’s not like you can just take the tattoo off and let your skin recover. What are you supposed to do, then, if your tattoo ink allergy flares up? There are some over-the-counter products you can get to alleviate some of the symptoms of your allergy. When you start noticing symptoms, you can apply a hydrocortisone cream or an antibiotic ointment to the affected area. These products can give you some relief from the pain and discomfort. Applying a cold compress or itch relieving cream can also help. If you have a serious allergy, however, the symptoms are likely to persist and you’ll need to seek some more serious treatment. Your doctor or dermatologist will be able to assess how serious the allergy is and what steps you should take to deal with it. Depending on the severity, it may require medical intervention, such as antibiotics (if the rash has turned into an infection) or a course of steroids. 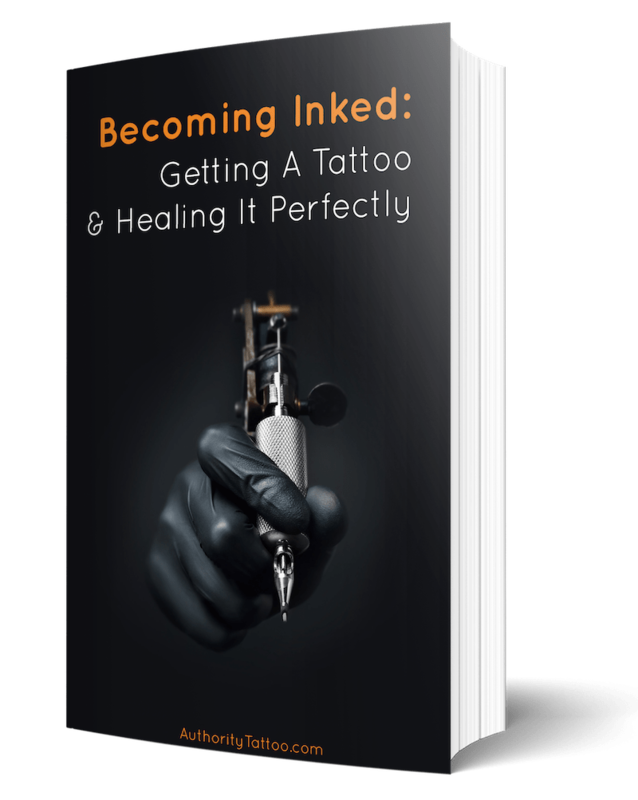 These allergic reactions – redness, itchiness, swelling – sound relatively minor, but they’re no fun to live with, especially when you consider that the ink is going to stay with you for life. If over-the-counter treatments aren’t effective and your dermatologist’s medical interventions don’t take care of the symptoms, you might need to get the tattoo removed. Tattoo removal creams are the cheapest option and they’re the easiest to use but, unfortunately, they don’t work very well. At best, they can help fade your tattoo a bit, but they won’t eliminate the ink particles that contain the heavy metals responsible for your allergic reaction. The best and most effective way to remove your tattoo is with laser treatment. Your family doctor almost certainly does not have a tattoo removal laser on hand at their practice, so you’ll need to see a dermatologist or a cosmetic surgeon to get the procedure done. 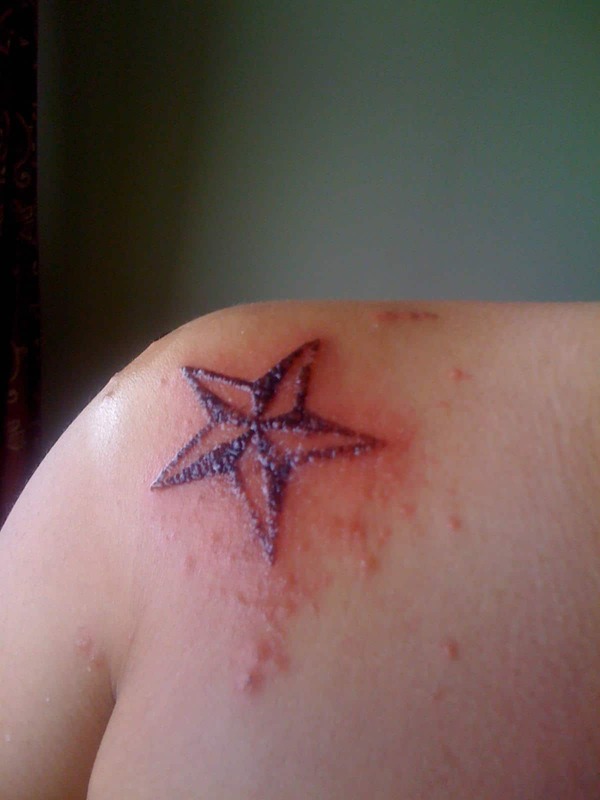 A tattoo ink allergy is not pleasant to deal with, especially if it means you have to get your tattoo lasered off. If you think you might be allergic to the ink, or just want to be extra safe, ask your tattoo artist to perform a patch test or tattoo a dot on your skin before you get a complete tattoo. Tattoos are permanent, so you'll want to be as certain as possible beforehand that your skin will accept the ink nicely. If you do discover an allergy, don’t give up hope. There are alternatives you can use to still get tattooed, whether it’s using different colors or trying out specialized inks. Your tattoo artist will be able to go over these options with you and help you find the right one.